I read an interesting quote just the other day: “A clean table means a cluttered drawer.” I guess in today’s technological world, this translates to something like, “Organized web browser windows mean a cluttered tab bar.” I know that when I get deep into a research project or simply spend hours on the web, my browser quickly becomes inundated with unorganized tabs. Lately, I’ve started opening up a few windows to try keeping things a bit more organized, but that has its limitations. Fortunately, Mozilla’s new Tab Candy extension comes to the rescue with a potential solution to the problem. More often than I’d like, I’ve had to spend some time scrolling through a long list of tabs to find the one I want. With Tab Candy, users can now easily zoom out and view all active tabs. Tab Candy also allows users to create, edit, and personalize groups by dragging two tabs onto each other. These groups can even be named to take organization to a whole new level. Previously, it wasn’t practical to have more than 15 tabs open in one window. However, thanks to the convenient spacing of groups, users can now easily fit 30 or so tabs in a relatively tiny screen. Groups and tabs can easily be moved around and edited much like the famous Expose and Spaces feature on Mac’s. Say that you’re in the “zoomed out mode” and you decide to work on a specific tab that is part of a specific group. Clicking on that group and tab will pull up the browser that only contains the tabs from the selected group. The idea here is to keep the tab bar clutter-free by only including relevant tabs. However, I think that this feature of Tab Candy can potentially be cumbersome at times; it’s not always the case that I only want to work with tabs from one specific group. Other than that one gripe, I think that Tab Candy is exactly what will organize and facilitate a better online browsing experience. While the current version of does not support a whole lot other than tabs and groups, the Tab Candy team is working to bring some new powerful and convenient features into play. The most powerful such feature is the ability to search. Even if things are organized, it might take you a while to find something. The search feature will instantly bring up relevant tabs based on the keywords you type in. Currently, Tab Candy is still in early trial stages. 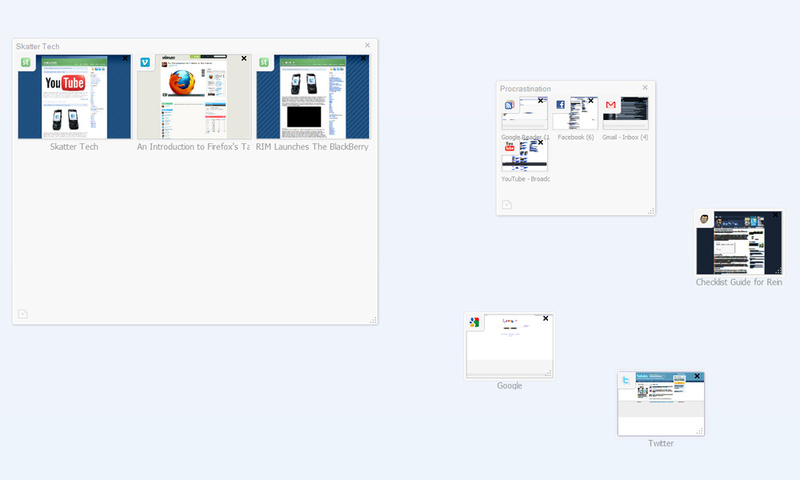 The alpha version is still a very alpha build of Firefox itself with Tab Candy enabled. It’s not a Firefox extension that can quickly be installed. At this point, the Tab Candy team is avidly running tests, optimizing performance, and trying to fix bugs. All in all, Tab Candy is the next step into a future beyond tabbed browsing. With the amount of information that we have at our fingertips its easy to get lost in the multitude of tabs. We need an easy and convenient way for us to organize information, which is exactly what Tab Candy promises. It might be too early to say anything for sure, but all we can do for now is sit tight and eagerly wait for a stable release.